The past few weeks have really been focused on trying to get quilt tops pieced together and starting to quilt them. I'm excited to see more of these get finished in the near future. Last night I finished quilting this quilt that I'm pretty sure was pieced by Alice. You can sort of see the quilting better here. We have another sew-in tonight at Quilter's Way to continue to piece tops, backs and bindings. If you're in the area, come join us. In addition, I also finished my Simply Solids Bee block for the month of May over the weekend and sent that out to its recipient. For a while now, I had been thinking about getting a longarm. While at MQX, I test drove several, finally purchasing a Handi Quilter Avante. Last Wednesday, my new toy was finally delivered and set up. It had been sitting in the shop for two weeks while I was traveling for work, eagerly waiting for me to return and play. I began by putting some old fabric that I never plan to use on the frame to get the hang of it. On Saturday, after I was somewhat confident, I took that off the frame and put my first quilt on. I had to go back and see when I made this quilt top. I blogged about it back in June 2009 and at that point, I stated that I had made it 3-4 years prior. I made this quilt during my first paper pieced class while I was still in college, probably in the 2005 timeframe. The workmanship is far from perfect. I figured why not make my first paper pieced quilt my first (okay, third - I did some simple stippling on a longarm that I rented twice) longarmed quilt. As I've been working on this quilt, I have come to really like this block and this quilt, despite the fact that it's not really my style anymore and the workmanship isn't up to my current standards. Who knows, maybe someday I'll make a more modern version of this quilt. Here's a picture of the quilt top from several years ago. 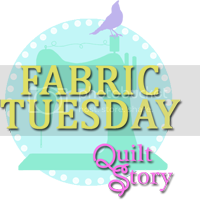 I'm sure many, if not all of you have heard about the "Make it Right Challenge" using a panel plus some solids from Angela Walters' debut fabric line, Textures. A little over a month ago, Angela asked me if I would participate in the challenge and I eagerly jumped at the opportunity to participate. I wanted to leave the center of the panel alone and make it the focus of the quilt. I also knew that I wanted pull out some of the rectangles on the other half of the panel and feature them more prominently. I love the colors in the panel, but I wanted to bring in another color that some people may not thing to add. I thought about going with a purple, but in the end picked this beautiful pink Pure Element solid - Cherry Lipgloss! Hey, what can I say? I like to be different. The background is Pure Element White Linen and the other teal is Tile Blue. I know what you're thinking... I didn't use the whole panel, just a few pieces. Actually, I uses almost every single inch of that panel. What's not in the quilt top became a part of the binding. When it came time to quilt this up, I wanted to emphasize the straight lines in the fabric. 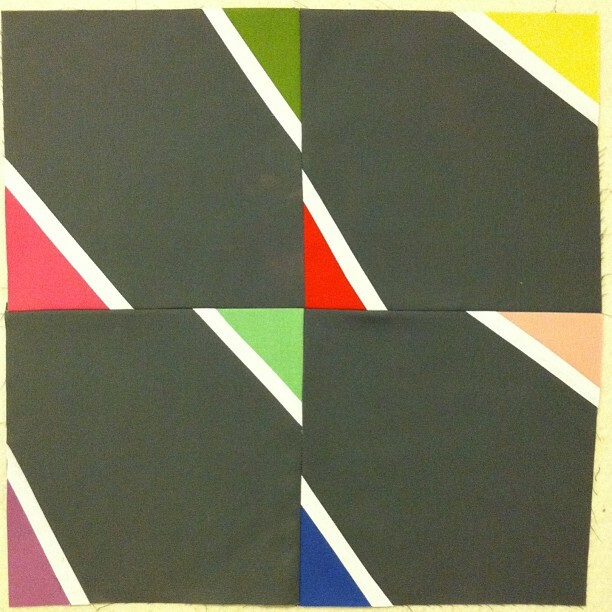 I divided the top into four equal quadrants and alternated the direction of the straight line quilting by quadrant. I backed the quilt in the crosshatch print from Angela's textures line. This quilt finishes at 48" x 46". Are you planning on entering the Make it Right Challenge? If so, I'd love to see what you end up making. 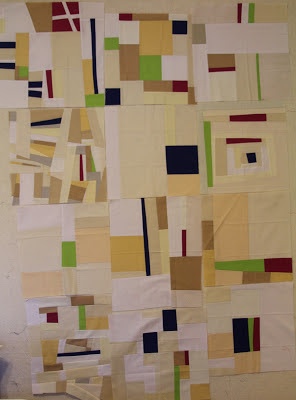 This time around we can enter two quilts into the Blogger Quilt Festival. I already shared my Pinwheel Party Quilt with you - my entry in the mini/doll quilt category. I'd also like to share with you my Mod Hex 2 quilt - my entry into the wall quilt category. I struggled with what category to enter this in, but because it's really too small to be a lap quilt and is too big to be a mini, the wall quilt category it is! I started making this quilt as a class sampler. You see, I was asked to teach a modern hexagon class at a local quilt shop - Quilter's Way. I wanted something fun and easy, so I designed this sashed rainbow quilt (below) using the Hex N More Ruler. Wanting to show that you could have a totally different effect by changing the sashing, I made Mod Hex 2 more scrappy, using a fat quarter bundle from Fat Quarter Shop. This was a Blogger Choice Fat Quarter Bundle pulled together by Elizabeth Hartman late last year. The colors for this quilt are out of my comfort zone. I tend to shy away from earth tones, but there's something about these fabrics that really speak to me. This quilt went together relatively quick and was easy to piece. I would be willing to bet that it took just as much time to quilt the top as it did to actually piece it. One of the hardest things for me was picking a binding. I knew all along that I wanted to quilt this particular quilt in a concentric circle pattern, so that was easy. It just took some time. With concentric circle quilting, the center goes quick, but once you start to get further and further out, it can take a little while. Back to the binding... I was determined to use a fabric from my stash, but because these colors aren't ones that I typically work with, I struggled. I pulled fabric after fabric, but none of them seemed to work. Then, after about two weeks, I remembered I had some FMF in my stash and dug that out to find that this brown print went perfect with the quilt. This quilt was made entirely out of fabric from my stash. I received the fat quarter bundle as a gift for Christmas last year. I used an off white solid for the background, and an old print from my stash for the backing. I quilted it on my Bernina 440 using So Fine! #50 #402 - Pearl, so it really blends in nice to the background. This one finishes at 46" square! Quilter's Way is hosting a new color challenge and I decided to participate. 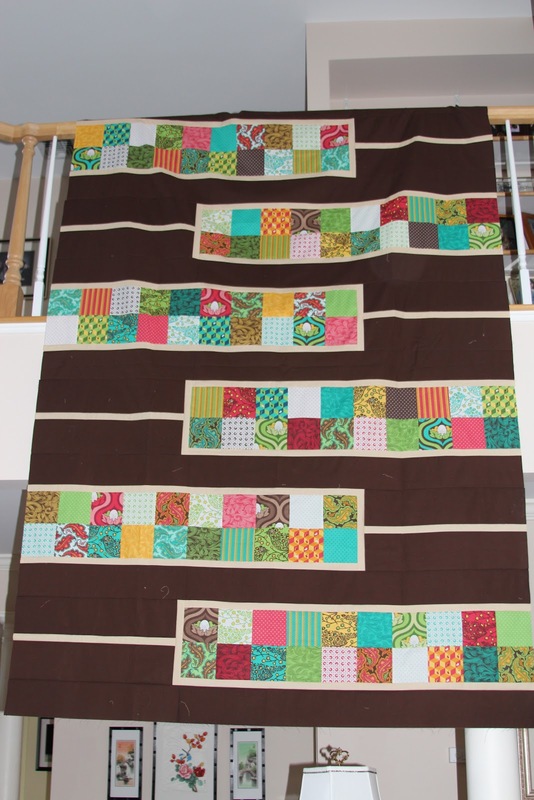 Participants can pick from four different fat quarter bundles and make a quilt using a selected pattern - a criss cross quilt this time around. The challenge will be all about how folks arrange the colors and execute the pattern. 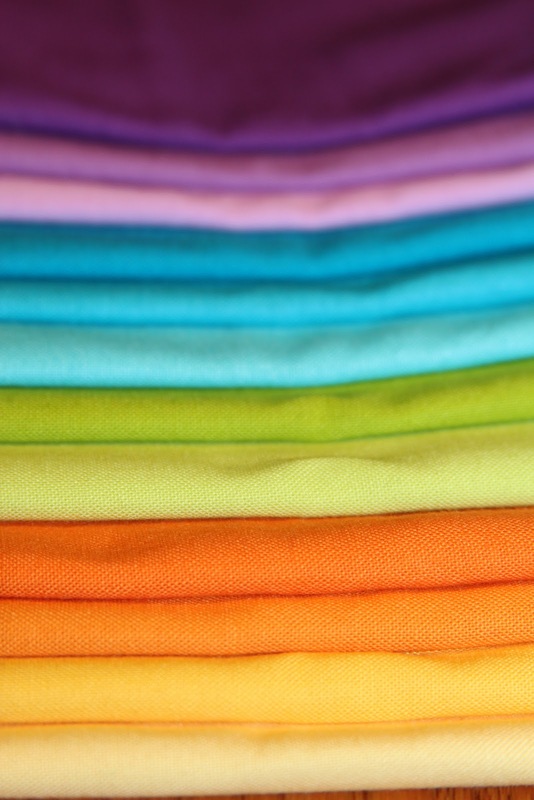 I picked the summer popsicle color way for my quilt. Over the weekend I broke apart the bundle and separated them into pairs in order to make the criss cross blocks. I managed to get the main fabrics cut as well. Now I just need to cut the background - a really nice light gray - before I start sewing them together. Stay tuned for more progress! I've posted a few pictures of blocks I've made for the Simply Solids Bee on the past couple of months. Lucky for me, April was my month. I picked April because I knew it would be an absolutely crazy month for me and I probably wouldn't have time to make something myself. I've been inspired by all sorts of improve quilts and low-volume quilts and decided to combine the two. 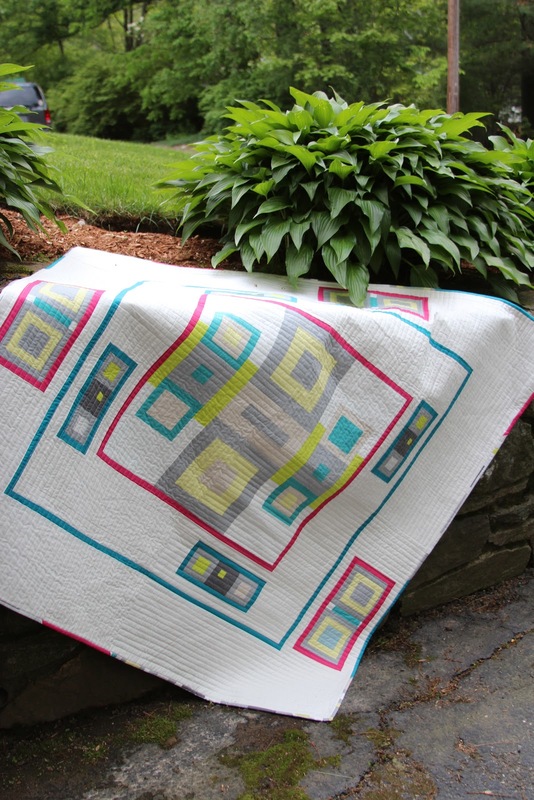 I sent folks a bunch of cream and white neutrals and a couple of pops of color in lime, pink and navy to be used sparingly throughout the quilt. I asked folks to make completely improve blocks and this is what I got back! I'm still waiting for one more block and then I need to figure out how to lay everything out. I'm probably going to add quite a bit more neutral fabrics to balance everything out. At the end of the day, I don't want it to be noticeable that these were a bunch of blocks pieced together. I want the quilt to have more of an organic feel to it. Thank you to all who entered the giveaway for the Nest Charm Pack. Congratulations Jen. Please check your email and send me your address so I can get your charm pack out to you! 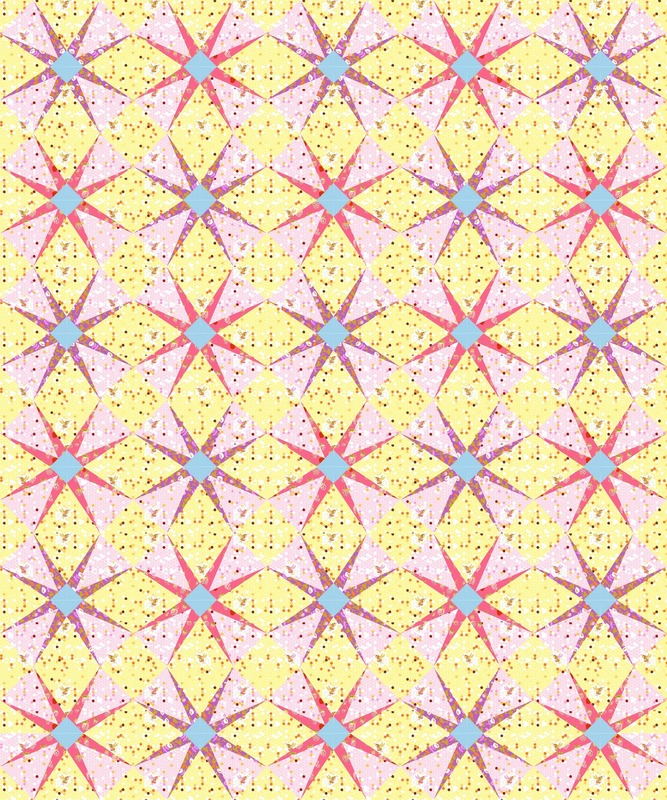 Have you heard about the Threadbias Design Competition using Heather Ross' Briar Rose fabric line? 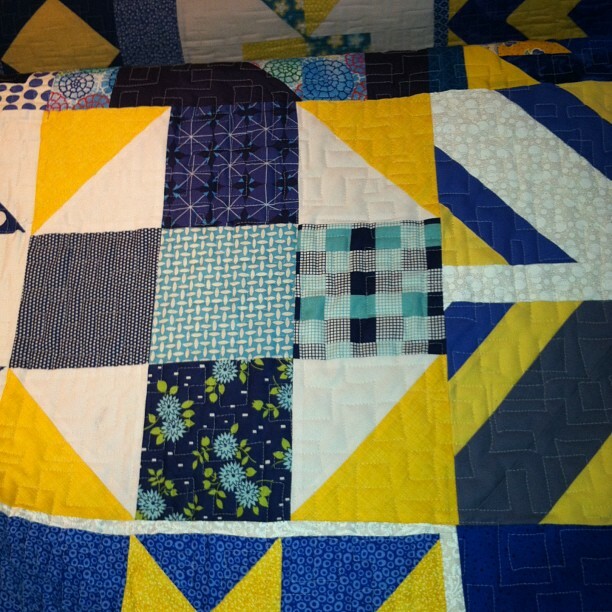 The fan of paper piecing that I am, I designed this quilt that you see here. You have the chance to vote for your favorite and Heather Ross will pick her absolute favorite to win enough fabric to make the quilt. Hop on over and check out all of the great quilts. 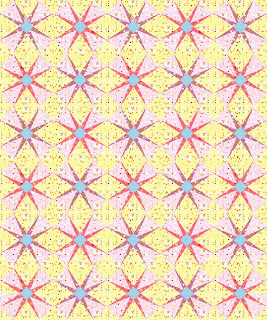 And while you're there, check out the patterns I designed, which are available for instant download on Threadbias. 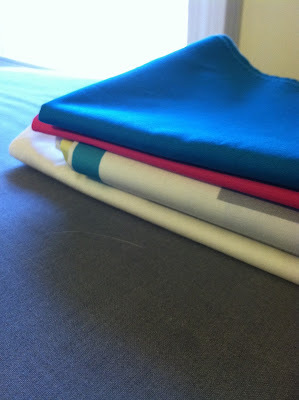 As part of Sew Mama Sew's giveaway day, I decided to part with some very hard to find fabric. For those who follow my blog, you might remember this top, which I still need to quilt. I had four Tula Pink Nest charm packs that I had been hoarding for quite some time. I finally found the right pattern, slightly modified, to really showcase the fabric without having to cut it up. Fortunately for someone, this quilt top only required three charm packs, meaning I still have one left over to give away. Now, this is pretty hard to find these days and I've seen these for sale for 4-5 times what it originally retailed for. To enter, leave a comment below telling me who your favorite fabric designer is. 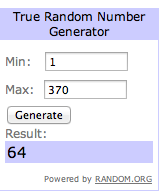 Followers of my blog are eligible for a second entry, just leave a second comment telling me you're a follower. If you're not a follower, have a look around and stay a while. 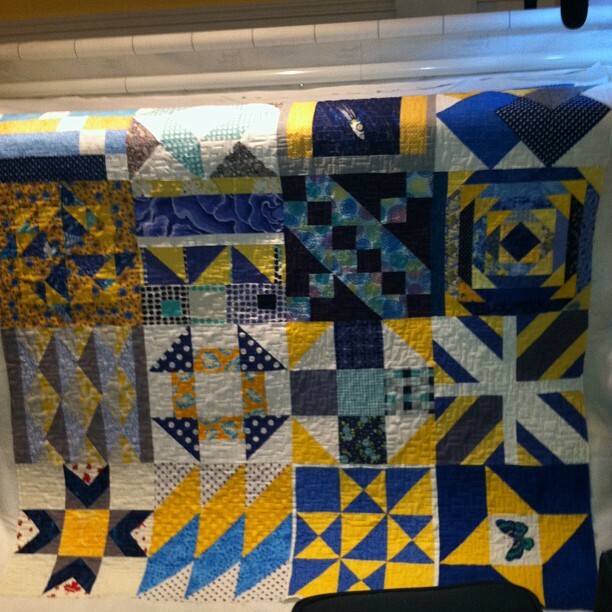 Make sure you check out the details for "Quilts for Boston" - an effort my guild, the Boston MQG is putting on to help those affected by the bombing and subsequent events. If you are a no-reply blogger, please make sure I have a way of contacting you if you win by leaving your email address in your comment. I will pick a winner on Friday, May 10th. Last week I put the finishing touches on my Mod Hex 2 quilt. Before work this week I swung by a local park and snagged some great pictures of this quilt. I love how the early morning light hits the quilt in some of these pictures. I made this quilt using the Hex N More ruler for a class I taught at Quilter's Way. 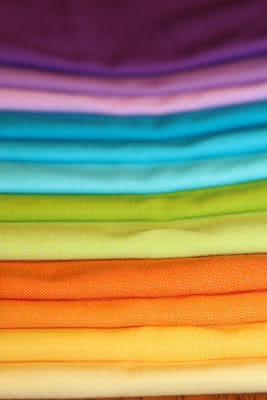 This picture really shows the true colors of the fabrics. I love the lighting here. 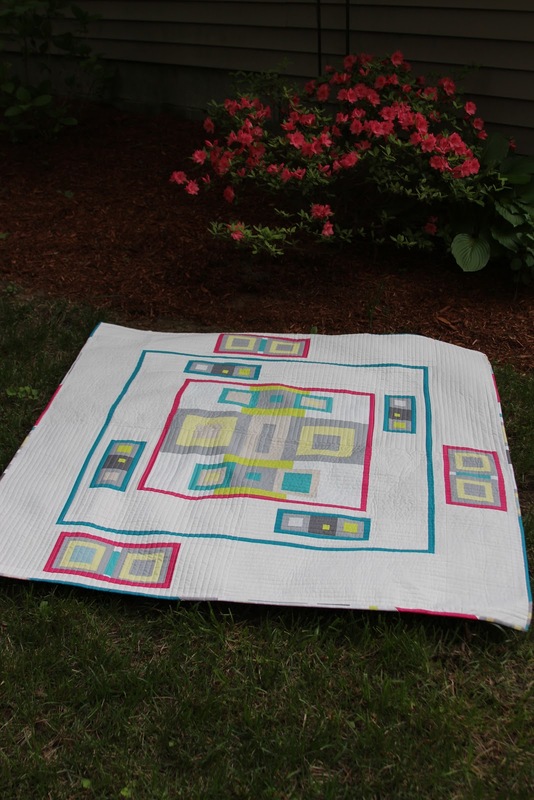 I made this quilt using a Blogger's Choice Fat Quarter Bundle from the Fat Quarter Shop put together by Elizabeth Hartman of Oh Fransson! I added a solid off white fabric from my stash for the background. After much debate, I ended up binding this quilt using the perfect Flea Market Fancy print. When I finally pulled this print from my stash, I couldn't believe I didn't think of it sooner. I was determined to use a print from my stash, and because these aren't my normal colors, I was struggling with it. Once I pulled this print, I knew it was meant to be. As you can see in a bunch of these pictures, I used one of my new favorite quilting designs - a spiraling circle. I used my walking foot to maintain even spacing. I drew a small circle in the middle and just moved out from there. This quilt finishes at around 46" square. I'm really happy with how this turned out and I'm even more happy to have it finished! My goal for May is to finish and blog about this secret project. Right now the top is almost complete. I just need to finish the top, based, quilt and bind this baby. I hope to have this complete sooner rather than later, but we'll see. Work has been super crazy, but hopefully things will slow down towards the end of the month. I also hope to make a few additional quilt blocks for the Quilts for Boston effort, but those won't be finished projects, so I'm not counting those.